What would you do if a special guest were coming to your house for dinner? Would you be sure the house was extra clean, ask how may I serve you or would you like something to drink? This was something that I had to learn to do because I want my guest to feel special, loved and welcomed. Often times we go out of our way to give our guest the royal treatment but haven’t given the royal treatment to our spouse. This week I want to encourage you to give your spouse the royal treatment. What is your idea of a royal treatment? 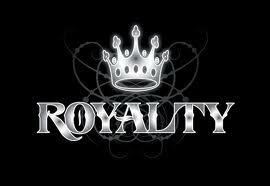 Ask your spouse what’s his or her idea of a royal treatment and if possible give it to them. I know, you are thinking when was the last time he or she gave me the royal treatment? In Acts 20:35 Jesus said it is more blessed to give then to receive. My husband demonstrates the royal treatment well and I am learning to do better. He takes pride in opening my doors, pumping my gas, cooking a meal, asking if he can get me something on his way home, being sure that my needs are met. I believe that we should learn to treat our mates royally. We should treat our mates better than any one else treats them. Realize that your husband/wife is special and that they deserve the “Royal Treatment.” In Matthew 20:28 Jesus says for even the Son of Man came not to be served but to serve others. In conclusion, treat your wife like a queen and your husband like a king. Be intentional about giving your spouse the “Royal Treatment.” Don’t take them for granted because we really don’t know how long we have to be their spouse. One of the wives who’s husband was killed in the Navy Yard shooting commented and said “He was the best husband ever.” What do you want your spouse to say about you? Great word! Thank you for your dedication.